Movie Review - 'Kon-Tiki' - A Norwegian Adventure We All Know And Love The story of Norwegian adventurer Thor Heyerdahl and his epic trip across the Pacific Ocean has been told before, and often. But in Kon-Tiki, the how and why of that trip get a robust, dramatic airing — if one that may not be quite historically accurate. Early in Kon-Tiki, a dramatization of Thor Heyerdahl's famous 1947 trans-Pacific raft expedition, the Norwegian ethnographer arrives at the New York Explorers Club trying to drum up support for his crazy adventure. Though the host initially tells him he's not welcome — Heyerdahl (Pal Sverre Hagen) has already been soundly rejected by every publisher, magazine editor and potential financier in the city — the Danish explorer Peter Freuchen (Soren Pilmark) recognizes him and lets him in. Freuchen's appearance in Joachim Ronning and Espen Sandberg's film is limited to just this one scene, but the character introduces two key concepts — one that will be central to Heyerdahl's philosophy, and another that will prove key to that of the filmmakers. When trying to live as native peoples do, Freuchen explains, it's best to trust in the native ways of doing things. Heyerdahl takes this advice to heart in the building of his titular raft, a craft built of balsa wood, held together without a single nail or rivet. 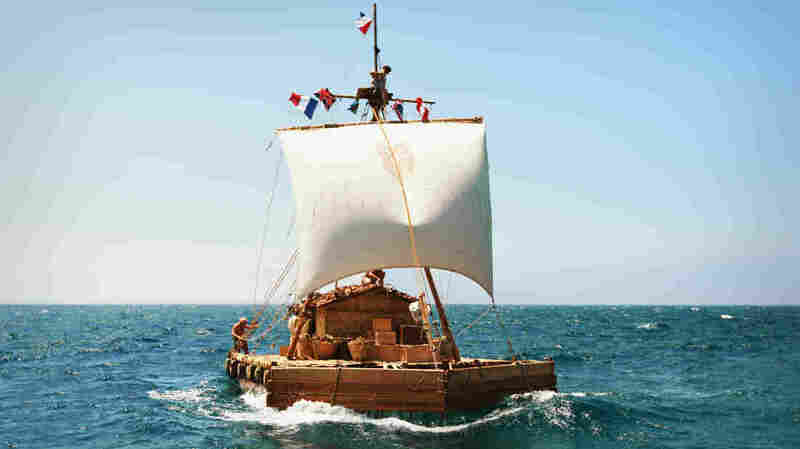 Heyerdahl, just like South Americans 1,500 years before, lashes the craft together with nothing but hemp ropes for a nearly 5,000-mile trek through often-rough seas from Peru to Polynesia, hoping to prove that it was possible for prehistoric peoples to have migrated to the South Pacific from the East. Ignoring native wisdom, Freuchen points out, can have dire consequences; as evidence, he taps the peg leg that has replaced the foot he once lost to frostbite. The members of the Explorers Club are hearty men with big stories of riding the ragged edge of mortality in the pursuit of knowledge. The filmmakers look at Freuchen's lost foot, and their takeaway is that exploration needs adventure. And sure enough, Kon-Tiki will have no shortage of death-defying drama, though it sometimes comes at the expense of fact. Heyerdahl's own visual account of the trip is available in his Oscar-winning 1950 documentary, also named after the raft, which presents the expedition practically as a pleasure cruise. Via a soothing British narrator, he relates how relaxing it is to drift along the currents of the Pacific. He documents the lulling repetitions of everyday life on the raft: catching fish, cooking, tending the rudder, playing guitar, reading, sending out radio updates. Brief mention is made of one storm that does some damage to the boat, an incident in which their onboard parrot, Lorita, bites through a radio wire, and the danger of omnipresent sharks. All of these aspects are present in Ronning and Sandberg's account, but through their filter, every mishap is magnified to near-catastrophic scope to heighten the stakes. Additionally, in the service of human drama and character development, they turn the trip's second-in-command (Anders Baasmo Christiansen) into a cowardly, portly klutz who nearly undermines the mission on multiple occasions. 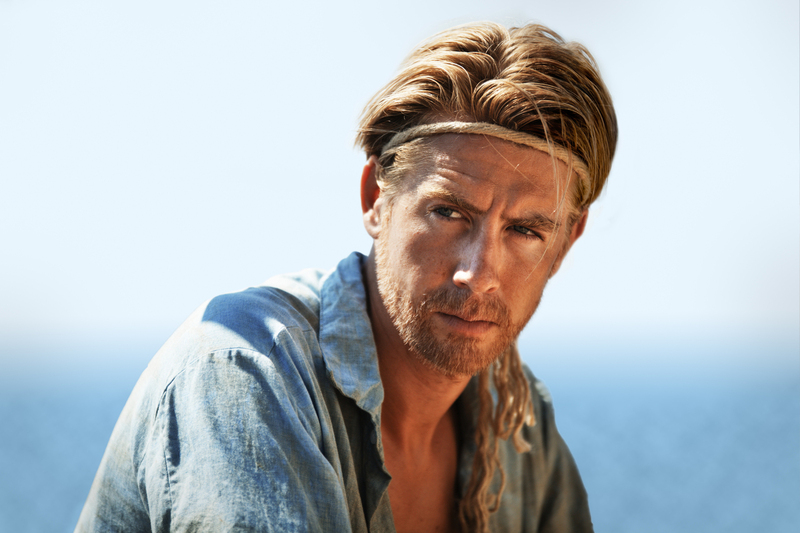 As Heyerdahl, Danish actor Pal Sverre Hagen provides a stern and steady presence throughout Kon-Tiki. All of this may undermine Kon-Tiki's value as an educational tool, but there's no denying its status as a rousing and thoroughly enjoyable Old Hollywood-style adventure. Little time is wasted on exposition; the filmmakers efficiently use a brief prologue on an icy Norwegian pond to establish Heyerdahl's status as an innate adventurer before rushing through his fundraising difficulties in order to get to the meat of the story: six men and a parrot facing death and despair on the high seas. To their credit, the filmmakers do attempt to dig a little deeper than just that, trying to convey the righteous obsession and complicated motivations of the explorer. Heyerdahl eventually finds his funding after appealing to the vanity of the Peruvian president, and the film exhibits an ongoing interest in explorers driven by quests both noble (for knowledge) and vain (for immortality). Heyerdahl himself is spurred on by a near-religious faith in the guessed-at methods of the ancient mariners, which that first-mate character writes off as an insane obsession. The more meaningful character explorations never quite coalesce, alas, mostly because the filmmakers are more interested in — and far more skilled at — the high-tension thrills they're manufacturing. It's difficult to blame them, given that their take on the trip is probably far more entertaining than a more realistic one. As one magazine publisher, reluctant to engage in what he sees as sensationalism, tells Heyerdahl, "Doubtless the story of Norwegians drowning in the Pacific will sell a lot of magazines." What's true for magazines is also true for movie tickets.